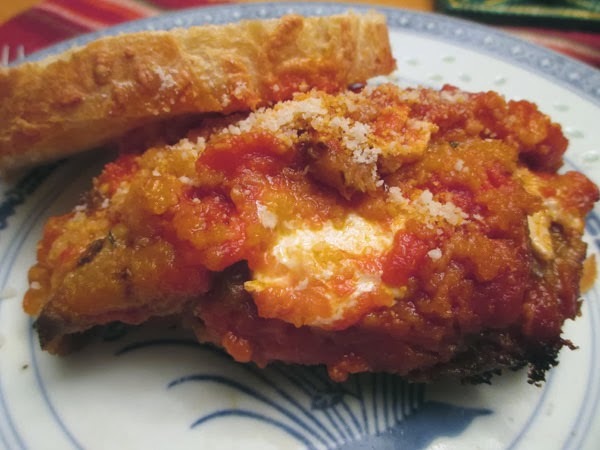 Usually when I make Eggplant Parmesan I will egg wash and bread the eggplant slices and then put them in the oven turning them half way through the cooking time. What a waste of time and energy. This meal was fantastic. Yes I love Eggplant Parmesan but Chris said it was delicious. That's right "this Eggplant Parmesan is delicious." I had enough from the recipe to make 2 dishes so I brought one to my sister's house who is another Eggplant Parmesan lover. The eggplant tasted like it had been fried, and I never thought that with the method I previously used. Heat oven to 400° F. On 2 rimmed baking sheets, brush the eggplants with 1/4 cup of the oil; season with 1/4 teaspoon salt and 1/2 teaspoon pepper. Bake until tender, 20 to 25 minutes. 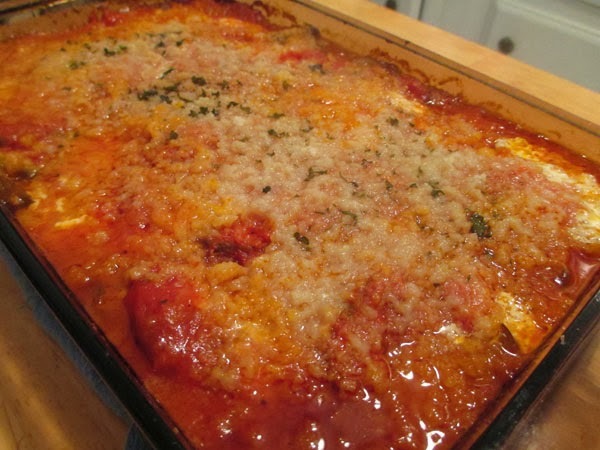 Spread 1 cup of the marinara in the bottom of an 8-inch baking dish. Top with half the eggplant, half the mozzarella, and half the Parmesan. Repeat, ending with the last cup of marinara. Top with the bread crumbs. Bake until the cheese is melted and the sauce is bubbling, 30 to 35 minutes. Let the Bread Baking Begin!